From Acuras to Volvos, Buicks to Saturns, we can help you protect your new car or truck warranty. By using our quality service and parts, our technicians can perform all of your new foreign or domestic vehicle's Maintenance and repairs while keeping your warranty in effect. You don't have to return to the new car dealer for scheduled service or checkups to ensure your manufacturer's warranty remains in force. We bring you this information because you have the right to have your vehicle serviced wherever you choose. Ask us how we can help you protect your vehicle's warranty. My new car dealer says I have to return to their facility for all of my car's Maintenance to keep from voiding the warranty. Is this true? Absolutely Not. You can have routine service done by any competent independent service station, shop or garage and still maintain your warranty. No! Legally, automakers cannot specify the use of their or anyone else's parts for your vehicle's Maintenance. You may use any brand-name quality parts such as CARQUEST to replace fan belts, hoses, brakes, exhausts, chassis parts, oil and more. Make sure your vehicle is serviced at the intervals specified in your Owner's Manual or Warranty Booklet and keep very clear records of your vehicle's Maintenance. Be sure to have the date, parts installed, vehicle identification number and mileage recorded on the invoice. Keep these receipts in a safe place. If you have a service log in your Owner's Manual or Warranty Booklet, use it. Check your owner's manual. It will give you all of the information you need regarding what parts to replace and when to do it. Make sure to read it thoroughly and note any exceptions or severe service notations. Warranties are there to protect the consumer, but you must follow the requirements. What if my new car needs repairs other than regularly scheduled Maintenance such as a brake job or other repairs?Do I have to return to the dealer for these repairs? What if these repairs are covered under my warranty? 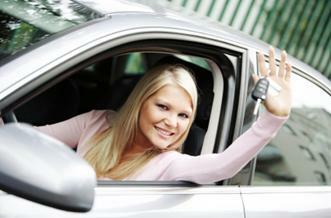 The choice of where to have your car serviced and repaired is yours. As far as repairs covered by the warranty, you will probably have to take the car back to the dealer. Thoroughly check your warranty to be certain that the repairs are covered. Some are manufactured by the same supplier and may even be warranted longer than original equipment parts. Aftermarket parts supplied by CARQUEST meet or exceed manufacturers specifications.